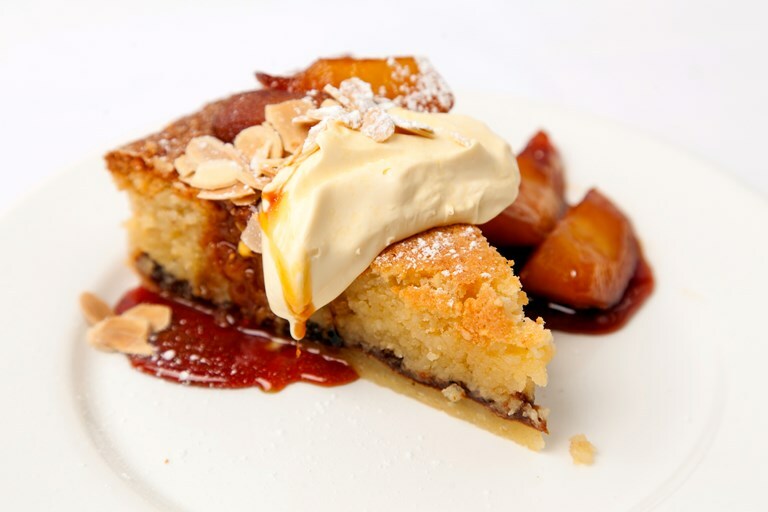 With layers of pastry, sticky jam and Marcona almond frangipane, Jeremy Lee's stunning British dessert offers a spin on the classic Bakewell tart. Adding twists with an Armagnac-laced jam made of the autumnal medlar fruit and mounds of golden caramelised apple slices, this heavenly dish is topped off with a generous spoonful (or two) of rich Jersey cream – a fabulous finish to any Sunday roast. The jam can be used fresh from the pan if you're pushed for time, but the chef recommends preparing it the night before or even a week in advance for the best possible flavour. Meanwhile, prepare the caramelised apples. Peel and slice each apple into 6 even pieces and set aside.